How Do I Change the Font in the iPhone. The iPhone has much more features. If you boring the old screen style. That something can change that is font. Its easy way to change it, if you have Cydia or Installer application. Then select the font to installed and go to WinterBoard for select font that you will need to change, click font that you needed. 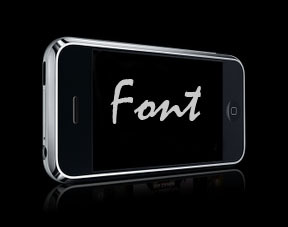 iPhone Font will changed after you save it.